Leaping Tiger, the gamer buddy (also known as “friends”) finding app that released on iOS in May has now come to Android! For those who don’t know, Leaping Tiger is a location-based smartphone app designed to help gamers connect with other gamers. No, not for dating, but rather for finding raid groups, co-op partners, and likeminded gamers to play with that are near you in real life. 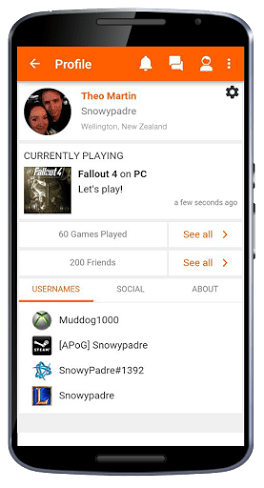 The app also features its own messaging system to connect with other gamers, a place to store gamer profiles, and more. Available on iOS and now Android, you can start finding gamers near you to game. What are you waiting for?